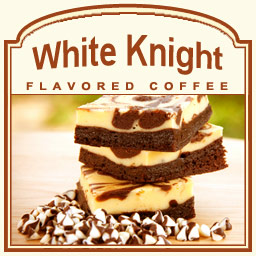 White Knight flavored coffee is full of gourmet tastes that will be the perfect addition to an early morning. Roasted and shipped on the same day, this White Knight flavored coffee features a sweet, creamy brew. Packaged in a heat-sealed valve bag, this White Knight flavored coffee will arrive fresh and full of aromatic flavor. Satisfy your taste buds with our White Knight coffee!